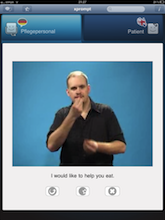 The phrases are translated into the text of the target language, together with a voice output for spoken languages or a video sequence if sign language is selected. 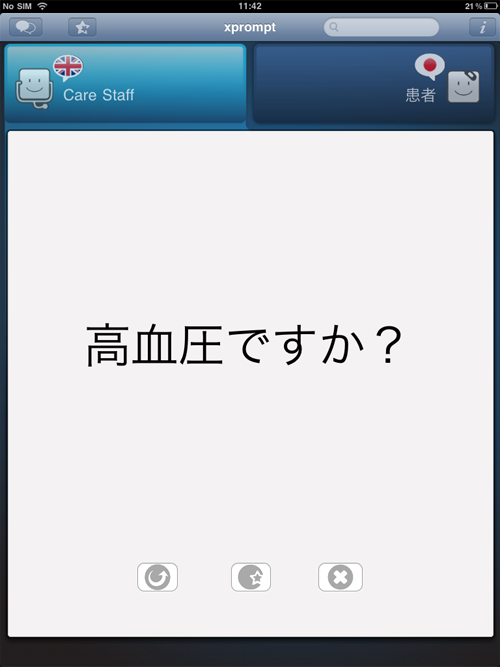 The partner can respond by changing into his/her language mode, and choosing a response phrase. Thereby the iPad is used by both parties. 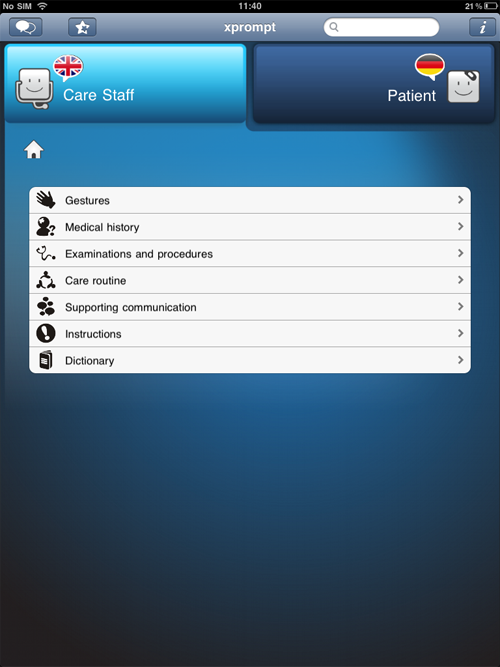 The phrase logging feature can be enabled, to record and list each carestaff-patient interaction within xprompt. 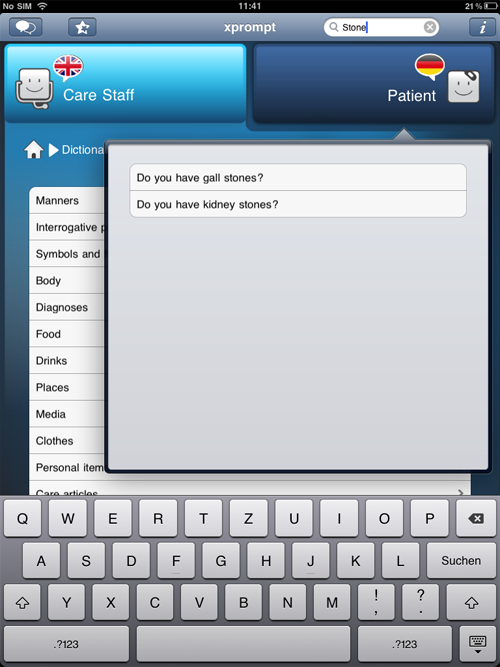 The phrases of logged dialogues can optionally be sent via email. All rights reserved. © 2011 Blue Owl Software.